Are you a CEIEP student looking to get access to the OLRC ? Please complete our Request Access form. Login to the Online Learning Resource Centre. *NOTE: The 2018 IUEC safety alerts can be found at this link. 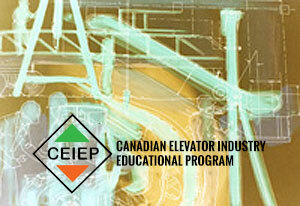 CEIEP offers both required and elective courses to elevator constructors at training sites located all across Canada. CEIEP courses are called “modules” and each module consists of one or more “units”. CEIEP modules are administered over a four-year time period. After an apprentice progresses from first year through year four, and upon successful challenge of the CEIEP Mechanics’ Exam, he or she graduates to the journeyman/mechanic level.CEIEP insures that IUEC mechanics will be ready and able to meet the challenges created by technological advances in the industry through the Mechanics Continuing Education Technical Review Series. CEIEP receives a subsidy from Employment Ontario through the Ministry of Advanced Education and Skills Development (AESD). Use the industry links to access both the AESD and Employment Ontario web sites. CEIEP is now an accredited training partner of the IHSA for working at heights.